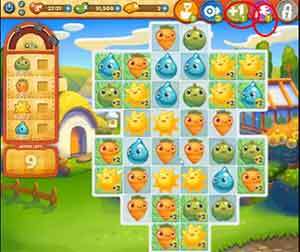 These Farm Heroes level 129 cheats and tips will help you beat level 129 of Farm Heroes. 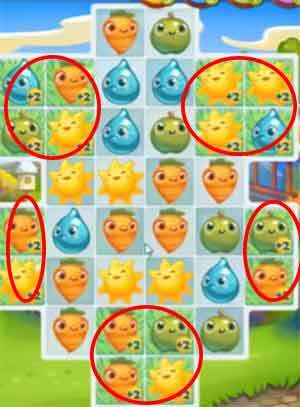 The objective of Farm Heroes level 129 is to collect 90 Green Apples, 90 Orange Carrots, 90 Suns, and 90 Water Drops with just 9 moves. 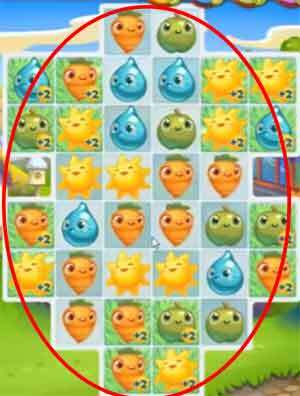 Farm Heroes Saga Level 129’sboard is very small. This is good. You can make big matches here. But you need to be smart about your moves. The first move is the most important. You want to match with one that will give you the most items, and the create a domino effect, that will carry over more items to collect in just one move. The green areas will help you most! Use them to make matches, if there are matches to be made there. If not focus on matches that will give you more items. You will most certainly need boosters here. The best boosters to use are Color Collector, Shovel, and +1! The shovel is a good choice to use if you want to rid yourself of an item to make some big matches.